Complex Says: While qualifying for the 1995 Grand Prix of Australia at Adelaide, Mika Hakkinen's left rear tire got slashed on the track after rolling through some debris. 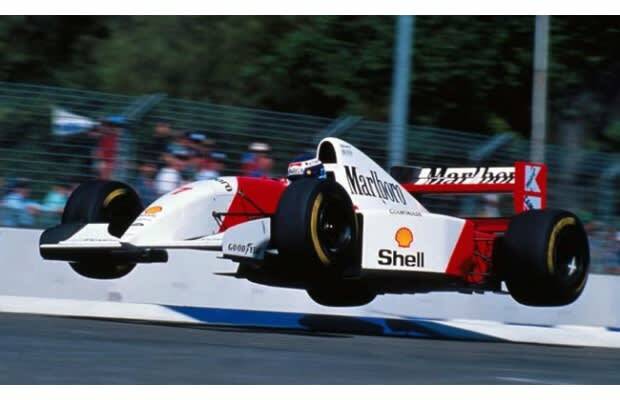 As a result, Hakkinen shunted off the track, hit a curb, flew into the air and finally hit a wall at an estimated 120mph. Medical staff had to perform an emergency tracheotomy at the track to save Hakkinen's life. Luckily, Adelaide was the last race of the year--and the only one Hakkinen missed. Doctors feared the possibility of his brain swelling and killing him, but he made a full recovery and went on to have his greatest success in F1 three years later. His first F1 World Championship came in 1998. At one point, Michael Schumacher said that Mika Hakkinen was the one driver in the F1 paddock that he respected.